As I look back at year one, I am extremely proud at what our team has accomplished. Specifically, for sales and marketing, I am excited by the year-over-year sales growth, addition of new customers (many the result of introductions from new partners), repeat business from current clients, increased company awareness through marketing activities, and the referenceable project work our team consistently delivers. All of these are reasons why I am enthusiastic about the first year, and very optimistic for the start of my second year at Heraflux. One other extremely important business highlight for our team is that it’s growing. In February 2016, Heraflux added another new full-time consultant to our team. For established and respected technology partners such as Microsoft Corporation, VMware Corporation, and Pure Storage, hiring new employees is common, and considered a routine activity. For growing companies such as Heraflux, adding new coworkers is much more significant since it is typically the combination of recent sales success, and expectations for new business opportunities. As I start year two, I am looking forward to not only assisting with the company activities for VMworld, but also attend the conference scheduled for August 28 – September 1 in Las Vegas. David will be presenting at a number of VMworld sessions, including VMware Corporation’s SQL Server pre-VMworld conference workshop on Saturday August 27th. Thank you to our VMware contacts for inviting David to be one of the instructors, and specifically mentioning him by name as one of the SQL Server and Virtualization experts in the all-day workshop overview. We encourage you to see this acknowledgement in the SQL Server Workshop session description below. 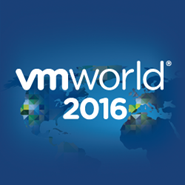 Please view VMworld’s 2016 US Schedule Builder at the site below for registration and descriptions for the above VMworld sessions. David will also be participating in the New Age / Next Gen IT event at the #VMunderground on Sunday August 28th at noon at the NYNY casino. We will continue to update the events page at heraflux.com as other VMworld activities are added to the schedule. Please contact me at this site if you would be interested in scheduling time to meet with us in Las Vegas at the VMworld 2016 conference. We do look forward to seeing you in Las Vegas! If you are not attending VMworld, but would like to hear one of David’s presentation, please look for Heraflux at one of these upcoming national and international conferences. Many thanks to our customers and partners for a great first year! We look forward to continued growth, and have a goal to add another member to our consulting team before the end of calendar year 2016. Please look for future updates on Heraflux events, and other exciting new company developments.